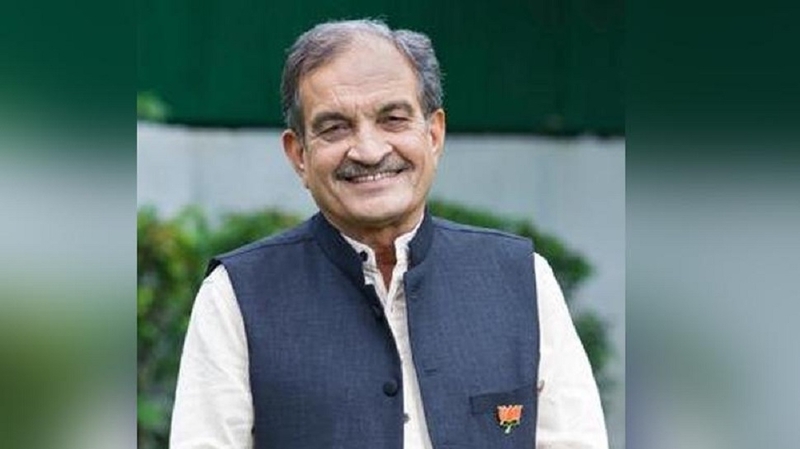 UNION Steel Minister Chaudhary Birender Singh, a senior BJP leader from Haryana, on Sunday said he has offered to resign from the Cabinet and from Rajya Sabha. The announcement, made by the Minister during a press conference at his official residence here, followed selection of his son Brijendra Singh’s name as the BJP candidate from Hisar in Haryana. The senior leader said he has informed the BJP President Amit Shah about his resignation offer, with which he wants to send across a message of anti-dynastic politics as his son has got the Lok Sabha ticket. In 2016, he was shifted to Steel Ministry from the Ministry of Rural Development, Panchayati Raj and Drinking Water and Sanitation. Singh had joined BJP in 2014 after his over four-decade-old association with the Congress party. BJP names six candidates for Haryana, MP, RajasthaN: THE Bharatiya Janata Party (BJP) on Sunday named six more candidates for the Lok Sabha elections from Rajasthan, Haryana and Madhya Pradesh. Finalised by the Central Election Committee, the names include Jaskaur Meena from Dausa in Rajasthan, and Arvind Sharma from Rohtak and Brijendra Singh from Hisar, both in Haryana. Bishnu Datt Sharma will contest from Khajuraho, G S Damor from Ratlam and Chattar Singh Darbar from Dhar in Madhya Pradesh.